The recruitment for the teacher panel and ongoing management are being run by an independent research company who will ensure that all feedback remains anonymous. To register interest in ABRSM’s Teacher Voices panel, please sign up at www.abrsm.org/teacher-voices. 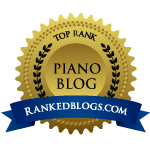 Previous postWhy do you want to take a piano exam?